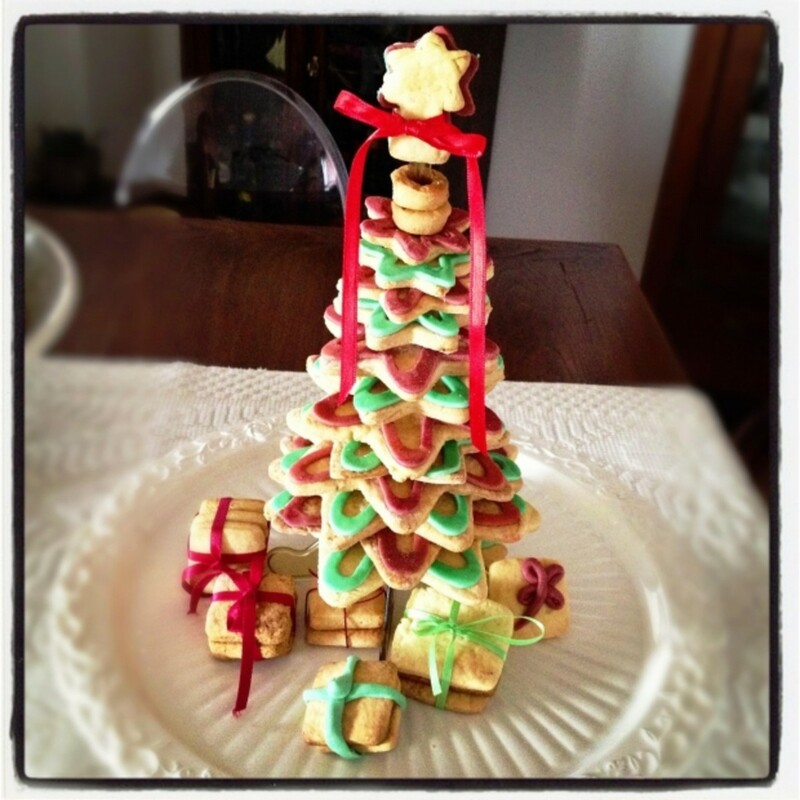 Christmas is fast approaching us again and it is time to start planning ahead. Whether you like Christmas shopping or not, family members and friends expect gifts. You don't want to be labeled a scrooge, so it is better to start planning and saving before Christmas sneaks up on you. You also don't want to end up standing in a long line on Christmas Eve at Yankee Candle. If you are not really in the shopping mood, or perhaps you've simply run out of good ideas, candles are always a great gift to give. Many candles are created specifically for Christmas. They may come with a nice Christmas or winter scene lamp shade, or perhaps they are a nice Christmas scent. No matter what, who couldn't use a candle? 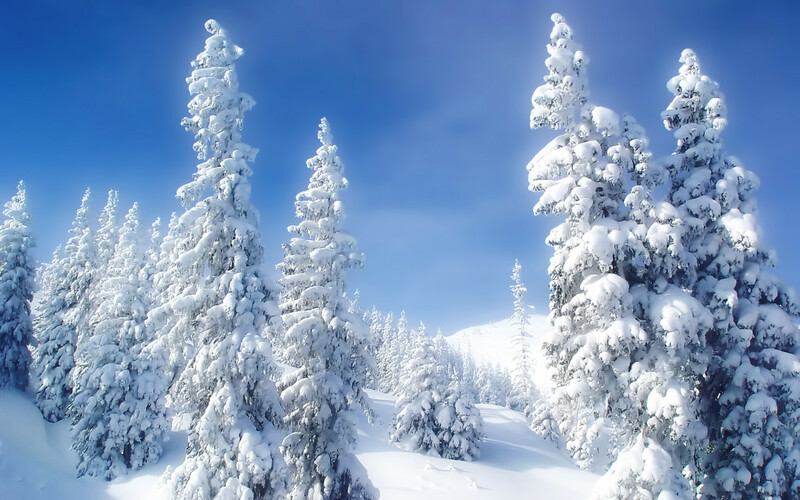 People often light candles in the winter to get a sense of warmth. Also, since the windows can't be opened when it is cold outside, it is nice to light a candle to help with odors in the home. If all else fails, candles are perfect for using when the electric goes out. In a sense, a candle can be a very practical gift. Often, you do not even have to pay a lot for a candle. You may even opt to give a gift basket full of candles. Do you want to give the gift of good luck to someone this year? We could all stand to have a little good luck and good fortune come our way soon. Bayberry candles are traditionally burnt on Christmas Eve or New Year's Eve. When a friend gives you a bayberry candle, you light it on either of those days and do not put it out. It must burn itself out. The process usually takes about 6 hours. After burning the candle, it is said to give the recipient good luck, good health, and good fortune for the new year. What a thoughtful gift to give to a friend! Not only is it an inexpensive gift, it is a sweet idea to give it to someone else. These candles also make perfect gifts for co-workers, too. Whether you are involved in a gift exchange at work or just need some nice last minute gifts, a holiday candle might be your best bet. 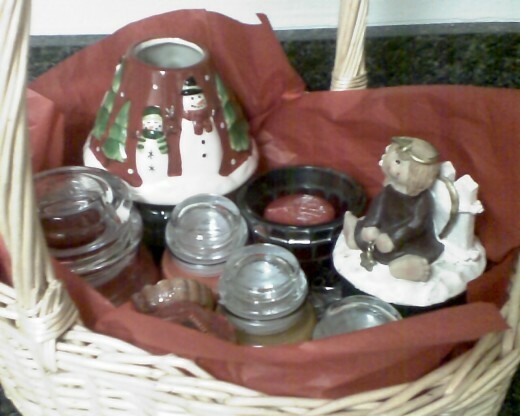 Many Christmas candles come in adorable jars or include a festive lid. You can find candles that are anything from whimsical to completely weird. Your friends, co-workers, and family members will appreciate a unique and fun candle from you. 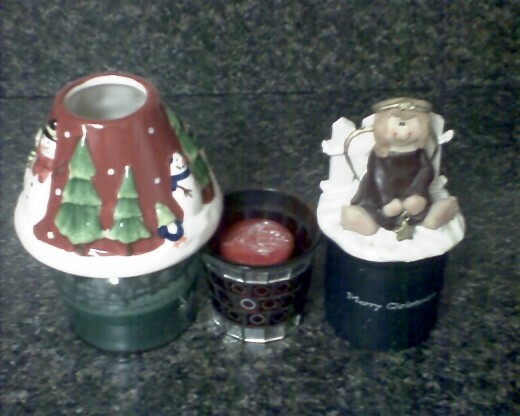 Don't forget candle holders with reindeer, a snow scene, or Santa are also great ideas. Make sure to get a small red or green candle to place in the holder. Then you have a great small gift for your friend or co-worker! Some candles smell so good you will want to eat them. Candles that are food scented continue to grow in popularity each Christmas. Instead of giving someone cupcakes for Christmas, why not give them cupcake scented candles? Instead of actually baking an apple pie, you can just burn an apple pie scented candle. Food scented candles are usually really cute and sometimes even look like the actual food it is intended to smell like. It is a good idea to find out what scents the recipient really enjoys. Does he or she have a favorite food? What about a favorite scent? It never hurts to snoop a little to see what type of shower gels that person uses. That will usually indicate a favorite scent. You can also take note if you are walking through a restaurant or food court, and your friend makes a statement like, "Ummm... cinnamon smells so nice." You know a cinnamon roll candle is a great gift idea. If you have a friend that really loves candles, you might want to consider giving a candle gift basket. Find out her favorites scents and start collecting the candles today. 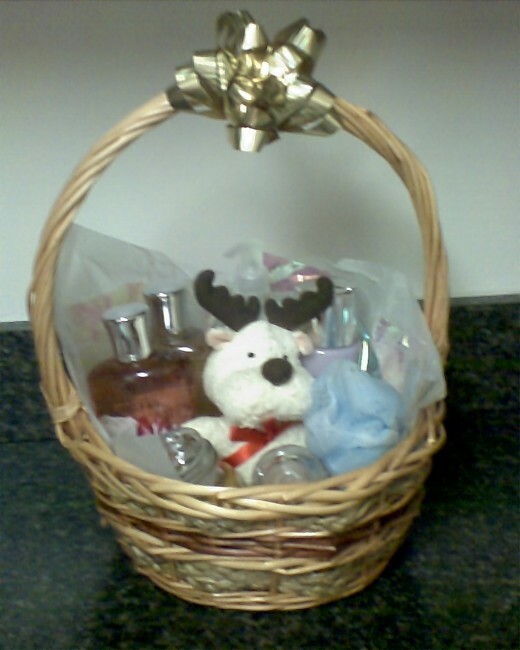 What will really make a gift basket stand out is if you include a few other cute items. Candy, small stuffed animals, and perhaps some shower gels are always a great addition to any candle gift basket. I personally save pretty tissue paper from other gifts that is in good shape to use for projects like this. Why waste tissue paper when it can be reused? You can stuff that in the basket along with the rest of the items to give it a fuller look. Baskets are available at a reasonable price at many craft stores, such as Michael's and A.C. Moore. In no time, you can take some of these ideas and create an awesome Christmas gift for just about anyone. Aw, I am sorry you don't like candles as a gift. Don't just assume a candle as a gift is regifted. I often buy new candles specifically for people as gifts. I suppose what matters is how much thought went into it. I buy candle scents I know a person likes. Since you hate candles, I would not give you one as a gift. Hope you had a candle-free Christmas this year! This Christmas I was given two candles. Every time I get a candle I feel a bit peeved because people who knew me even a little would know I don't use candles. I always assume they have been regifted. I've been given candles that were obviously regifted - dust is sure sign or a sticker from a store which no longer exists. I wish I had someone to give candles to. I think they are the one gift no one ever seems to really want. Anything I shove in a drawer is just more clutter hanging around. If we still lived in a rural area where we could burn scrub and brush outside I'd toss in all those damned candles and be done with them. Thanks so much for your comment and for sharing and for voting for my hub! The Bayberry Candles really did not bring me much luck, but they smelled nice enough. Candles are great for every occasion, too. I enjoyed reading another candle-related hub of yours! I agree with you that candles make wonderful gifts for Christmas. Though Christmas day is now over, still the candles make nice gifts for other celebrations and occasions. I would like to get Bayberry candles for good luck. Food-scented candles sound interesting. A candle gift basket sounds wonderful! An engaging hub! Well-done! Thanks for SHARING. Useful & Awesome. Voted up & shared on Facebook. Wow! You are not hanging out with the same people I know. I love my candles and even if I can't use them, people I know are happy to take them off my hands. I've had people try to take my candles. Hmmm. In general, I always think of candles as good gifts because even if they don't want to burn them, they look pretty for decoration. You sure you can't regift them? Thanks for reading and thanks for sharing your story! I've been given candles as Christmas gifts and they are NOT perfect Christmas gifts! Not for me. I find it hard to give them away to anyone else, I end up stuffing them in a drawer and forgetting about them. I see lots of them in the secondhand stores too. People giving candles should make sure they are wanted first. Usually anyone with allergies, asthma or other respiratory problem will not think candles are a perfect gift. Great Idea for gifts. Very nice hub. Thank you for sharing. Thank you both for reading and for the comments. Candles are really awesome Christmas gifts. Not too many things are that practical and smell that nice. Hi Jeannie, I appreciate the suggestion of candles for christmas gifts. In fact one of my co-workers is a PartyLite representative and the new catalogue has just come out. Excellent! Thank you for your comment. I had never heard of Bayberry Candles until I worked a seasonal job at Yankee Candle. I bought them for plenty of people that year. Who wouldn't want the gift of good luck for Christmas? Thanks for the vote up and I am glad you liked the ideas. Hi Jeannie, I think candles make a lovely gift, I had never heard of a bayberry candle. I especially like the Jeannie candle gift basket, that's something I would really enjoy putting together. Many thanks for sharing some great ideas and voting up.